Ethan Carpenter and Samuel Mishkind combined for six goals as the Babson College men’s lacrosse team scored its first win of the 2019 season this afternoon with an 11-2 victory over Roger Williams. The win provided first-year coach Rocky Batty with his initial win on the sidelines with the Green and White – Batty was tabbed to lead the program last July after assisting coach Ryan Polley at Boston University for one season. Babson secured an early four-goal lead after one quarter before entering the break with a 7-1 advantage. The Beavers would then tack on four more goals over the final 30 minutes, including a trio of markers in the final session. The win was the Beavers’ second-straight win over the Hawks after edging Roger Williams last season, 11-10, in Babson Park. Both Carpenter and Mishkind finished with hat tricks, while Brendan Duffy recorded three points on two goals and one assist. Niall Dillon concluded the game with one goal and one assist. Tim Mullane and Chris Bova each located the back of the Babson cage twice for Roger Williams, while Peter Navarro concluded his team’s initial contest of the 2019 season with two assists. Babson will look to continue its early-season moment on Saturday, February 23rd when they host Skidmore College at 1 p.m. Follow @NoontimeLax on Twitter TODAY! Rocky Batty is returning to the Wellesley area. The former Wellesley High School boy’s lacrosse coach was recently named the new men’s lacrosse coach at Babson College, taking over for Brendan Gorman, who spent nine seasons at Babson Park before resigning this past May. 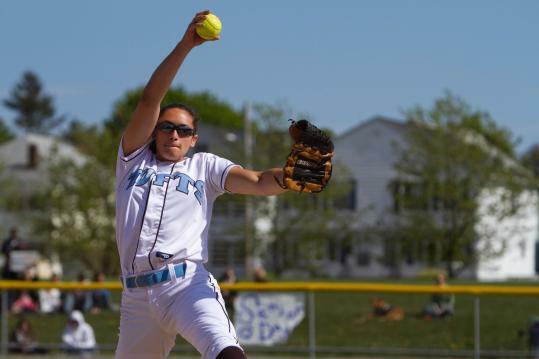 “I couldn’t be more excited about this opportunity,” Batty said in Wednesday’s release via the Babson athletics website. Batty spent this past season as a volunteer coach with the Boston University men’s lacrosse team, assisting head coach Ryan Polley and the Terriers to an appearance in the Patriot League semifinals. He was involved in all facets of the program, including the squad’s face-off unit where he helped rising sophomore Sean Christman go 34-of-49 in his final two contests against Duke University and Loyola Maryland. Prior to joining the Terriers, Batty oversaw the Wellesley boy’s lacrosse program, coaching the Raiders for 10 seasons (2008-2017). The Raiders concluded their 2011 regular season undefeated, while the 2012 squad advanced to the MIAA East Division 2 finals. Batty concluded his time in Wellesley with a record of 148-63. Prior to coaching the Raiders, he oversaw the Brookline High School boy’s lacrosse team from 1999-2006. According to Wednesday’s release from Boston University, Batty becomes the program’s second coach to accept a head coaching role with another program. Drew Kelleher, a former assistant for the Terriers, will begin his fourth season this upcoming school year with Manhattan. Want more Noontime Sports lacrosse news, notes and scores? Then FOLLOW @Noontime_Lax on Twitter!